Are you for Real? is an interactive game-like sound experience that was initially designed for the youth around the South square and the public library in Rotterdam (NL). 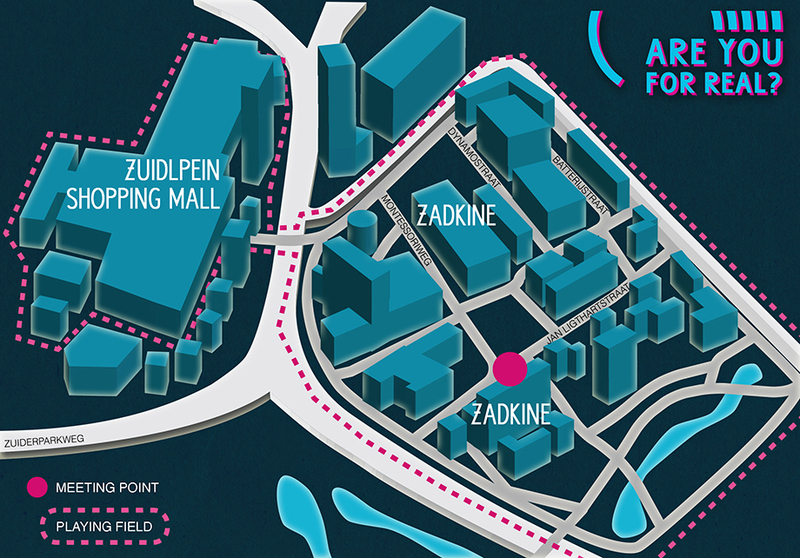 It is a GPS driven, real-time, sound game created for and by young people and played in their own local urban setting. 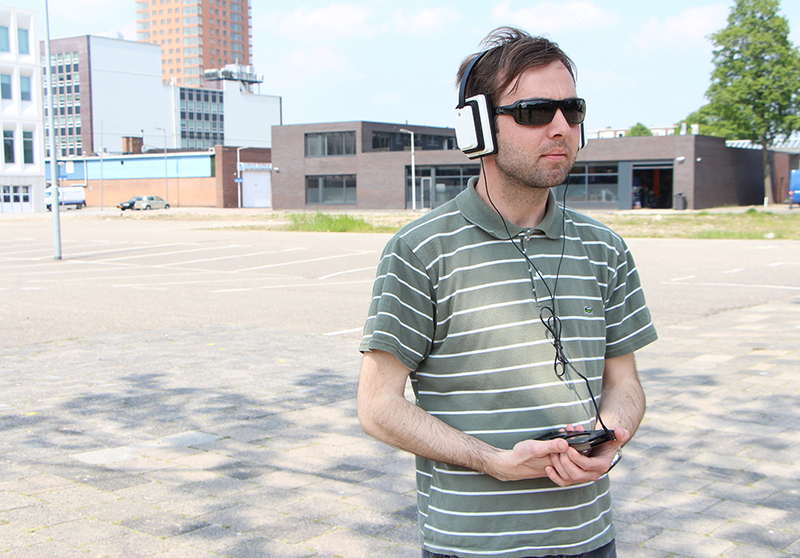 As the players roam the familiar city streets, they are simultaneously experiencing and exploring a virtually sonified version of the urban space through a modified smartphones/headphone set. The sound experience is driven by the players’ position, the position of other players and the influence of online users that virtually walk through the same streets and are able to broadcast messages to specific locations in the sonic cityscape. 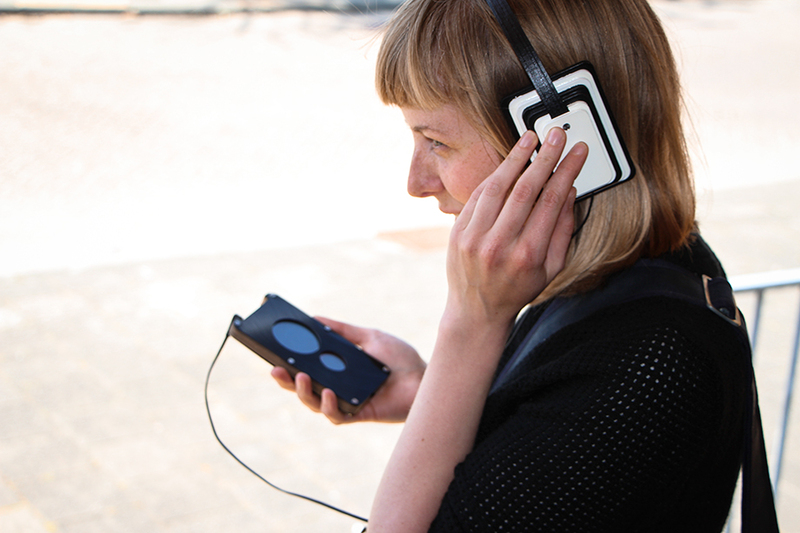 The project explores how sound and music influences the experience of moving through an urban environment while at the same time altering the possibilities for interpersonal interactions on the streets. The overall structure of the game follows the mechanics of a traditional treasure-hunt, with players collecting sonic elements located in physical space, but the result is an open-world game where the interaction between players (both online and in the streets) generates complex sets of rules and experiences.